Turn your wedding weekend into a mini vacation for your guests, with advice from top local pros. In a sense, your Minnesota wedding is a destination wedding for everyone who’s traveling to attend. Planning a whole weekend of festivities allows you and your fiancé to showcase all Minnesota has to offer, enjoy family and friends, and act as gracious hosts. “Making the fun last two, three or even four days can give the couple the chance to truly spend time with their guests,” says Maddie Huntwork, founder of wedding planning company Ask For the Moon Events. “Because, of course, the true wedding day pulls the bride and groom in a hundred different directions.” Here’s how to create an entire weekend of togetherness without breaking a sweat. Professional planners encourage couples to set a budget, choose a date and venue, and book accommodations early. Once you’ve chosen a central hotel or resort, you can block in nearby activities. “You’ll want to plan activities that are easily accessible from the hotel,” says Josey Stafford, founder and head planner at Sixpence Events. Think about destinations your hotel shuttle might already visit. “Many hotels offer great shuttle services for guests to venture out on their own to explore the city, so this could be a great option without any additional planning,” notes Lindsay Kunz, co-owner of Pink Peony Weddings & Events. In the city, destinations like the airport, Mall of America and Target Field are all connected via the light rail. Visitors and locals alike will appreciate events within an easy-to-walk radius. 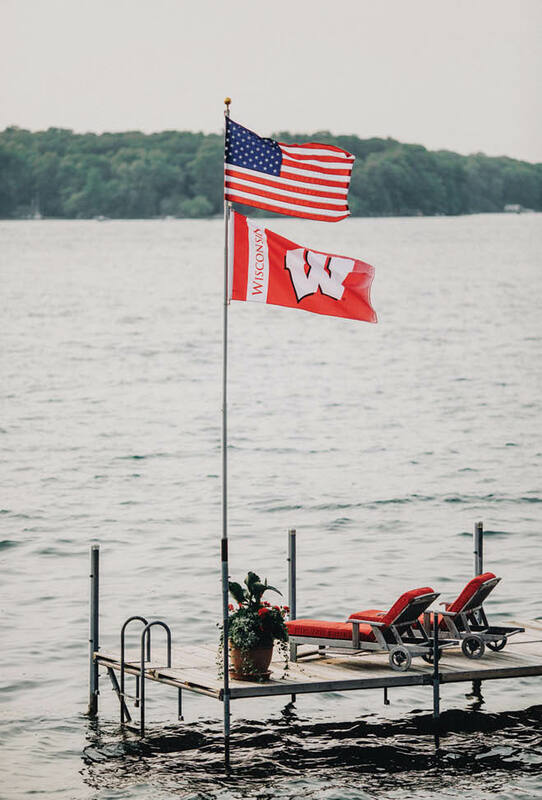 For serenity and convenience, choose a resort on a lake. The whole weekend can be in one location and you can forget transportation completely. Newlyweds Amanda Jansen and Ken Savary hosted a weekend wedding on the North Shore, and Jansen says it felt like a big family vacation. They worked with Mariah McKechnie of Northland Special Events in Duluth to showcase the gems of the area, from a lighthouse tour to brewery stops and cookouts. “Our close friends and family arrived as early as Wednesday, so we really got to spend time together up there,” says Jansen. Consider creating a guide to your favorite places: the restaurant where you had your first date, your favorite bike trails or a well-loved coffee shop. Share what you love best about Minnesota, but leave your guests plenty of room to make their own discoveries. “Everybody loved exploring an area they had never visited, and many said they understand why we are staying in Minnesota for years to come,” says Jansen. “You don’t have to plan activities and events for everyone,” points out Culver. That might mean a small rehearsal dinner for immediate family and wedding party, with a larger welcome party for everyone afterwards. Good communication makes for a happy marriage, and it makes for happy guests during your wedding weekend, too. Make sure to include all the details guests will need on your wedding website and don’t be afraid to really spell it out, especially if there are costs associated with outings that you aren’t covering. The welcome bag is a wonderful communication tool, says Stafford. “It’s a great place to sneak in the important stuff.” While guests are ransacking them for treats, you might get them to actually read the shuttle schedule. Include a map and itinerary so guests know where and when they can catch you and what options are available to them during the weekend. Over-communicate transportation instructions for the wedding day, especially if the shuttle has a limited capacity. Including an Uber or Lyft group code can be a thoughtful touch. Meet Minneapolis can get you started with free goodie bags that you can personalize with your own additions. Showcase locally made goodies like Annie B’s candy, Boomchickapop popcorn, craft beers from Surly to Summit, Faribault Woolen Mill blankets, Joia soda, Just Truffles, Knudsen’s Caramels, Maddy & Maize popcorn, Nut Goodie bars, Nikkolette’s Macarons, Sota Clothing caps or accessories, or Thyme bath and body products. For a wedding weekend up north, fill a custom enamel mug with gourmet cocoa and marshmallows. They’ll use it all weekend long. Create a map of the area customized with places that are memorable for you as a couple—the site of your first date, your favorite restaurant or the proposal spot. It will be fun to chat with your guests about the places they choose to visit. Consider what your guests will be doing all weekend. Lots of outdoor time? Perhaps sunscreen, bug spray and customized shades. Worried about the costs adding up? Check out Target’s travel section or swing by your local dollar store. Include a short handwritten note welcoming and thanking your guests for making the journey to celebrate. No time to DIY? Check out curated gift studio Minny & Paul. They can customize boxes of locally made goods or choose from pre-made options. 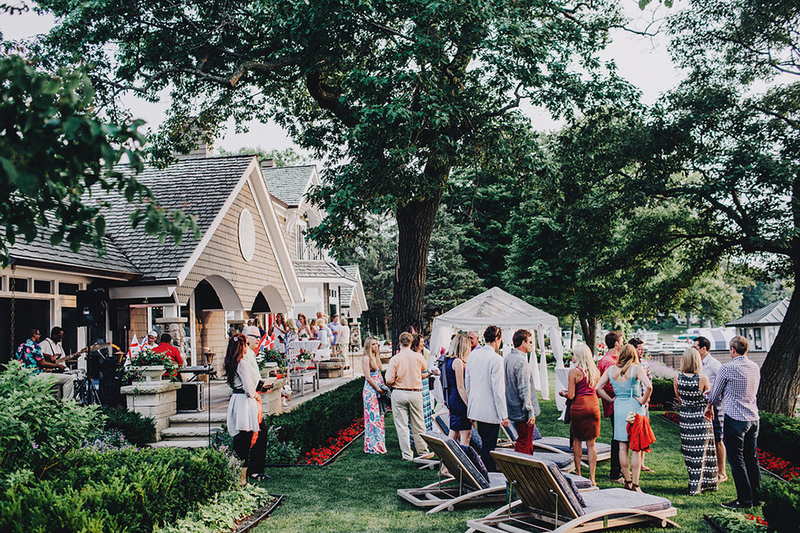 Since Minnesota has so much to offer couples and their guests during a wedding weekend, we asked local event planners to help us create four crowd-pleasing itineraries. Rehearsal dinner at Travail Kitchen. Welcome party at Young Joni’s speakeasy-style Back Bar. For a daytime excursion, point guests towards a burger tour to decide once and for all who has the best Jucy Lucy in the Twin Cities. Ceremony and reception at Bachelor Farmer. Morning-after brunch at Spoon & Stable or Tilia. St. Paul Saints baseball game followed by a welcome party and brewery tour at Surly. Daytime options like a whirlyball tournament, Nice Ride bike tour or a trip to Up-Down arcade for vintage games and pizza. Ceremony and reception at Target Field. Morning-after brunch at Betty Danger’s Country Club with a round of mini golf or ride on the Ferris wheel. Rehearsal dinner and welcome cocktails at the Dakota Jazz Club. Ceremony and reception at First Avenue. Gospel brunch at Hell’s Kitchen. Tour of Paisley Park for Prince fans. Rehearsal dinner on a cruise on Lake Minnetonka with appetizers and cocktails at sunset. Welcome bonfire with hot cocoa and s’mores. Provide suggestions for hiking trails and yoga class, or set up canoeing or lawn games if you’re at a northern Minnesota resort. Sunset ceremony and reception under the stars. Morning-after Bloody Mary bar and grab-and-go breakfast for early flights. Showcasing different and similar traditions makes for great memories and a unique event. There are a few key factors to keep in mind when choosing your wedding venue. You have several options for changing your name after marriage, including creating a new name.